Cabins and camping – Visby Strandby Norderstrand – hotel like! Only a few hundred meters north of the ring wall and the Hanseatic town of Visby is our camping and cottage village located. 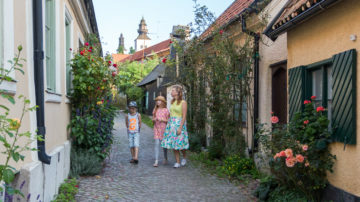 The whole of Visby with its history, all restaurants and fine alleys is around the corner. With us you can enjoy the sun, swimming and fantastic sunsets. We offer a seafront accommodation – almost on the beach. Like staying in a hotel if you want, with your own terrace. Here is the opportunity for lovely camping, or accommodation in a cottage just a few steps from Visby. Simply a good base for a magical experience on Gotland in the summer of 2019. 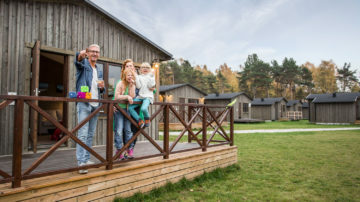 Book a cabin, villa caravan or campsite for tents, mobile homes or caravans by the sea on Norderstrand, just a short walk from the ring wall on Gotland. Try our unique Glamping tents or our completely new cottages. Absolutely wonderful accommodation, at a good price, for a wonderful stay on Gotland. We are open all year. Our self check-in machine serves us with check-in during the spring, fall and winter. The booking for the summer of 2019 is now available. Book at least two nights and use the code – Tio% – and get ten percent discount! Warm welcome! Hope to see you! All of our camping sites are located along the sea, with great opportunities for a sea view from almost all the sites. 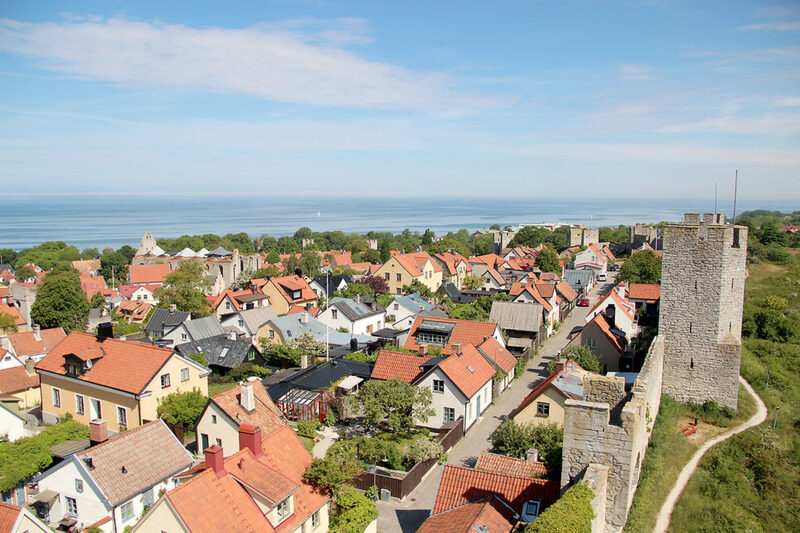 A holiday in Visby – something extra! In our cottages you live well and with a fantastic view to the sea. 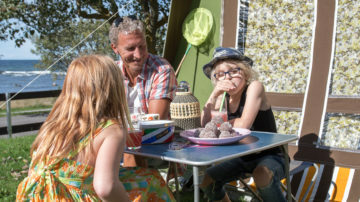 Our fantastic glamping tents offers you a nice comfortable living. It is almost comparable to sleeping under the bare sky! We offer a number of tents in our tent village, placed on wooden decking and with four beds in each tent. 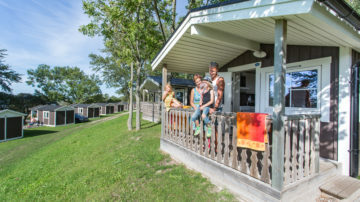 Information about the accommodation facility and the campsite. Our holiday village on southern Gotland. Close to Burgsviken’s sea line, this wonderfully nice holiday village is situated. Newly built cottages! Hopefully even with a sea pool the summer 2019! Here is the opportunity for lovely camping or accommodation in a cottage just a few steps from Visby. Simply a good base for a magical experience on Gotland in the summer of 2019. An opportunity to camp or rent a cottage just a few steps from Visby. As a hotel with a private veranda. A good base for magical experiences on Gotland in the summer of 2019. 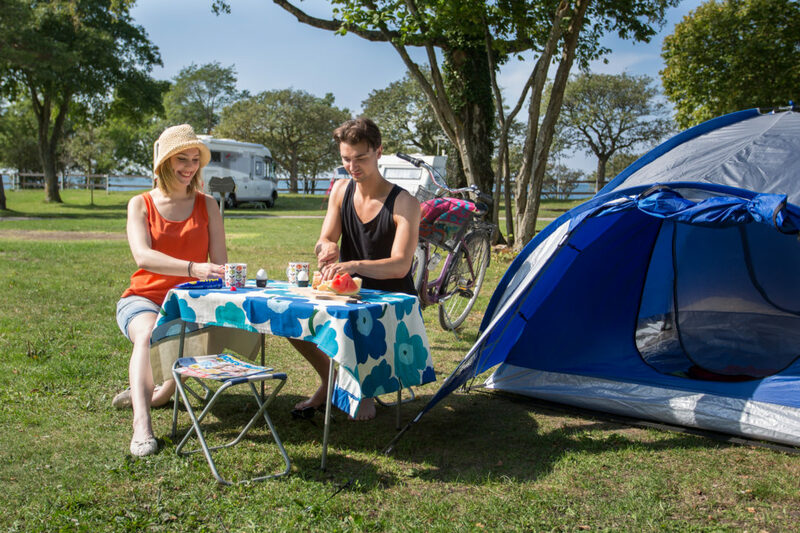 Book a camping cottage, villa caravan or campsite for tents, motorhomes or caravans by the sea on Norderstrand, a short walk outside Visby’s ring wall on Gotland. 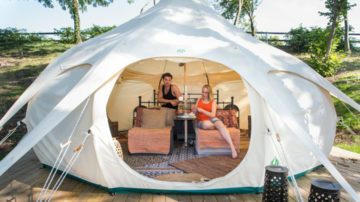 We recommend our unique Glamping Tents.